With improved separation quality, faster processing speeds and enhanced spectral editing features, separating a melody from a mix just got easier with ADX TRAX Pro 3.0. This upgrade also includes the new STEMS file export feature, making ADX TRAX Pro 3.0 the perfect crossover tool for Audio Engineers, DJs, Producers, Remixers and Post Production Engineers. The Pan-Specific View adds another dimension to the Spectrogram, that of position within the stereo field. When the Pan-Specific View is engaged, you no longer see a left and a right channel on your spectrogram, you only see the selected range within the stereo field, represented by a single channel. 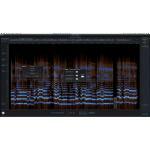 All of TRAX Pro's spectral processing and selection tools can then be applied with the Pan-Specific.